Single-Page vs. Multi-Page Websites: Who Wins in SEO? When it comes to deciding whether your next website should be a single-page or a multi-page one, there can be a lot of subtle and not-so-subtle factors to consider. One of, if not the biggest not-so-subtle factor is, you guessed it: SEO. Below we'll be covering what the differences are between these two and how they can ultimately make or break your website as a whole. What Exactly Is A Single-Page And A Multi-Page Website? If you are unfamiliar with this trend (you shouldn't be! 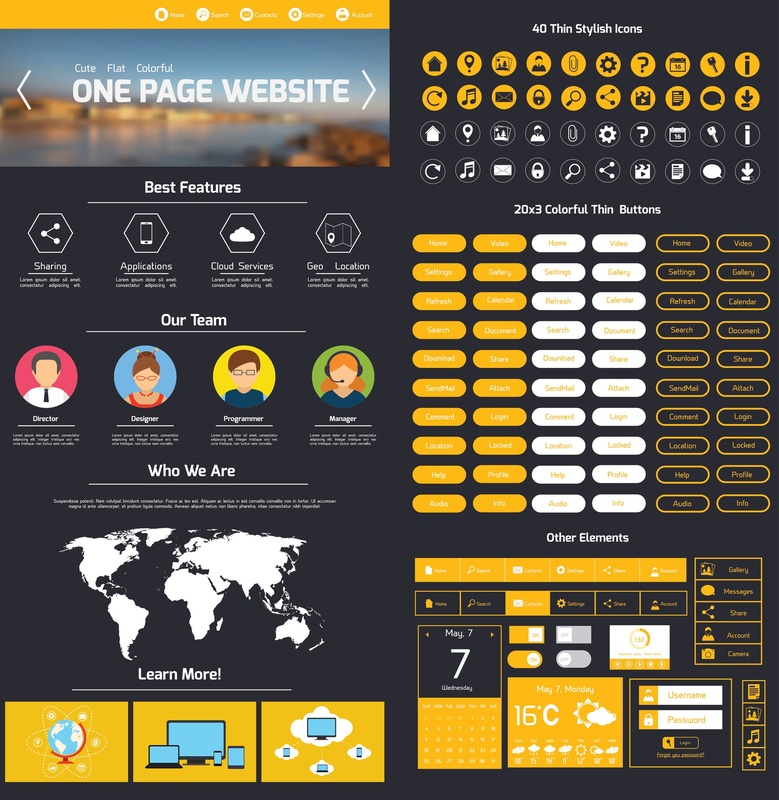 ), here are some examples of single-page websites to get you started. Essentially, they are websites with all of their information dumped into a single page; the homepage. Sure, they may have one or two extra pages, but the idea is that everything you need to know is on one page. A sort of "quick and easy" version of your standard website. Multi-page websites on the other hand, are just that; your standard, run-of-the-mill website with multiple pages like: homepage, about page, contact page and so on. These websites are capable of housing more content without appearing chaotic as they are separated into multiple pages; all capable of being standalone. What Are The Benefits Of Single-Page Websites In Regards To SEO? From how we defined these two types of websites alone, we can already see two key differences between them. Multi-page websites will typically have more content than single-page ones; and they are distributed over several pages. Single-page websites tend to be easier to develop because all of its content is in one page. Let's explore different aspects of website development and how each type of website fair in regards to SEO. Use this 11-step checklist for your next website redesign. With more than 50% of internet users coming from mobile devices alone, not including tablets (tablets? what are those, right? ), your users' mobile experience should be one of your top priorities. A single-page website makes things easier as users won't have to keep clumsily tapping on long, hidden or small menus to get around your website. The only thing they need to do is to keep scrolling down and tap on that eye-catching CTA! For multi-page websites; along with presenting each page with a great mobile experience, the main problem is how to let your users effortlessly navigate around your website through your menu. One of the most common solutions is hiding content you deem "not as useful"; not just on your website's navigation, but also on its pages. This means that some of the content that you worked hard to create or paid for might not even be seen by around half of your users, yikes! A long time ago, Google confirmed that page speed was a ranking factor but that it "was focused on desktop searches" only. Recently they just announced that this is no longer the case, and the mobile loading speeds will now be a factor for mobile searches as well. Ultimately, what this means is that your website's loading times should be a priority as well no matter what device your audience is coming from. With careful planning of what content is used, a single-page website can easily load faster than a multi-page one. It's also worth considering that once your single-page website is done loading, that's it, no more loading! For multi-page websites, while caching will prevent reloading of already downloaded assets, users will still need to go through a page load every time they visit a different page on your website. This is a big difference especially when you consider it through a mobile experience standpoint! Single-page websites will naturally be less expensive as they only require one page and enough content for that page. This doesn't just go for development too; maintenance like updates and other future optimizations will also be lighter on the wallet. This means you can dedicate more of your budget towards SEO. With how expensive one landing page can be, multi-page websites can ultimately cost you a fortune! Still, if you need to house more content or plan on doing so, a multi-page website is the correct starting point. 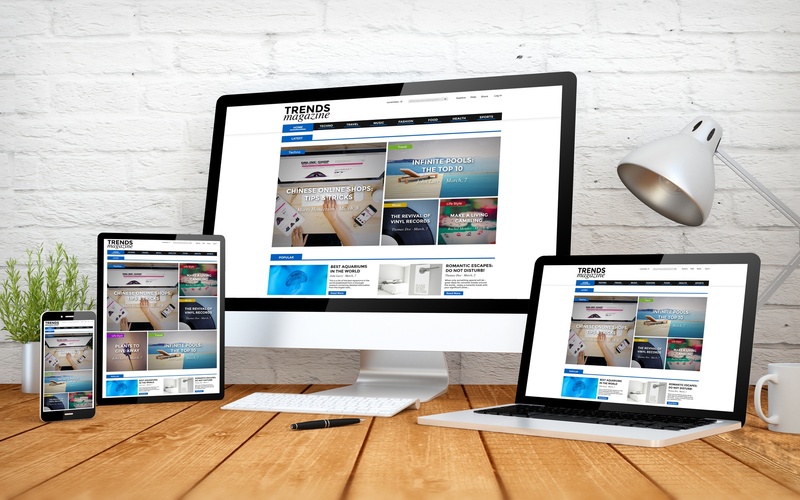 One study showed that the single-page version of a website increased its conversion by 37% compared to its multi-page version. For single-page websites, your users will only have to scroll down. This linear no non-sense navigation allows your users to begin the journey sooner and move through it more quickly without distractions or the possibility of getting lost to other pages. With multi-page websites, a plethora of pages can easily send your users feeling like they are navigating a maze with no hope of reaching the end. Where Does Single-Page Websites Fall Short In Regards To SEO? You may be thinking, "Great! Single-page website it is!". Well, as with many things in life; it's not that easy. Single-page websites fall short on some aspects that multi-page ones naturally offer. Keywords in SEO is a whole world of its own. With a single-page website, you are limited in how many keywords you can target. Do you use only a couple of keywords? Your website might not even rank due to how small your keyword coverage is. Do you stuff as many keywords in a single page? Your website might also not rank as search engines won't have a clear view of what exactly your trying to convey to your users with so many different keywords in one page. With multi-page websites, the possibilities are endless. You can try to rank for as many keywords as you like with as many strategies as possible. Of course this doesn't mean you can just go to town with your website's SEO, make sure you are not committing the most common SEO mistakes businesses still make. You might think that if you're starting small, a single-page website is perfect for you. This can be true in some cases, but most often it isn't. Once your single-page website is done, how do you add more content? You'll be forced to either replace existing content, cram it in and make a super long single-page website or give up and add more pages; all three of which are bad. Take some time and think about the future, if you predict that you will need more pages or will be adding more content down the line, it is usually a better idea to just go with multi-page website from the get-go. Multi-page websites are flexible in this regard, you don't need to start with 60 pages right off the bat. You can start with as many or as few as you like and still enjoy the benefits. Most analytics software are designed to work with a website with multiple pages. There are ways to work around this of course, but it will take extra effort that you might not have expected. Also, the main point is that you only have one page with a single-page website, leaving you with little room to do your analytics, much less experiment with it. On the other hand, multi-page websites are the opposite. They work seamlessly with analytics software with little to no configuration and allow you to experiment with strategies without affecting your most important pages. With all the points discussed above, multi-page websites are still the winner when it comes to SEO. This will be true for most business like e-commerce sites, restaurants and B2B's. However, don't count out single-page websites just yet! For more specific use cases, they are more than enough to do the job. Some of these cases are: portfolios, landing pages and one-time events. No matter what type of website you choose, Kulture Konnect can be your partner in creating an amazing website that will drive business growth and generate a constant stream of revenue. Receive a free quote or contact us for more info.